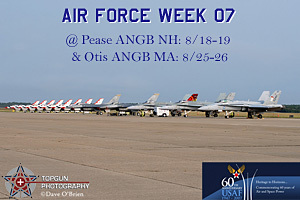 Pease- New England was one of the 6 sites to open up air force week; which celebrates the Air Force�s 60th Anniversary. The first stop was the former SAC Air Force Base, Pease, which is now called Portsmouth International airport at Pease. It�s the first air show at Pease since 2000. 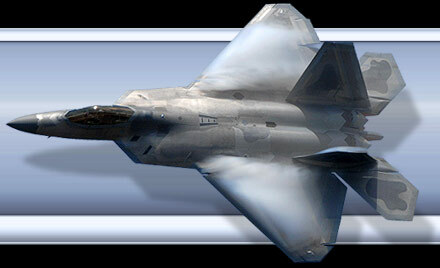 The show was put on with the help of NH Wings of Hope Foundation and the 157th ARW of the NH ANG. The acts they pulled in were John Klatt in his S-300, local favorite Rob Holland, Carol Pilon wing walker. Dan McCue in the L-39 & F4U Corsair, the East Coast F-18C Demo team from Oceana, Ed Shipley in his F-86 and the East Coast F-16 team from Shaw AFB. We also had a B-2 perform a fly by on Saturday. The flying didn�t start till 11am and with some technical difficulties with the sound system and then being too windy for the opening jump the announcer had difficult time starting the show. It also didn�t help having the announcer�s booth at the back of the ramp as he had a very difficult time see what was coming in. A CH-146 performed an air demo then Rob Holland took to the skies. The way he rips his MX-2 through the sky would make my stomach turn so quick. When Rob was finished they launched the Warbirds, a P-40, P-47 and a B-25. They took off for while Dan McCue went up in the L-39 followed by the Red Star Formation Yak team. Once they were down the B-2 (Death 12) came in for a few passes before Rob Holland took the controls for Carol Pilon while she some how hung on in the strong winds while walking around the wings of her plane. Dan McCue then jumped into the Corsair and did his demo while local Naval Aviator Lt Thomas �Natty� Clark from Nashua took the F-18C demo up to rip up the skies. Afterwards Dan and Natty hooked up for the Legacy flight that is a few photo passes from the right and then one overhead from the back. Once each of them landed it was time for Ed Shipley to take up the F-86 Sabre to perform to the crowds. Once the solo F-16 demo was done, he formed up with Ed for the Heritage Flight; this was the big closer for the show. Over all it was a pretty decent show seeing they haven�t had a one in 7 yrs. I�m looking forward to seeing what they can do for the next show. Otis- The following Weekend was the closing of Air Force week with a show 2 hours away at Otis ANGB in Cape Cod MA. Otis was granted the Thunderbirds, which is always a nice draw. Other acts scheduled were the Golden Knights, USCG Search and Rescue demo, Michael Goulian in his Extra-300 and Michael Mancuso in his Extra 300. The Under Pressure Jet Ambulance, S-3 Demo team, C-17 Demo, B-2 Fly by, Ed Hamill, CF-18 demo flown by Crank, along with John Klatt, the West Coast F-16 Demo and visit from the East Coast F-18 demo flown by Lt. Adrian �Catfish� Jope, a F-117 demo and the 102nd FW F-15 formation. Again weather played havoc with the air show, this time it was haze and fog in the morning and wind in the afternoon. Temps were in the high 90�s and it was very humid. Some of the Saturday morning acts couldn�t even go up because of the haze. I was lucky to go on Sunday, as it was my only viewing of the S-3 demo performance, which is flown as a 2 ship. The USCG demo was showing how they put a tactical team on a boat if needed to be repealing from a Jayhawk. A Falcon was flying around showing how it would search for boats in trouble and dropped a raft on target. Next up was the Mass Army National Guard Blackhawks. 2 of them were carrying Humvee�s while the other 2 had men repeal down ropes. The 102nd FW launched 4 Eagles to light up the sky but weren�t allowed to on Sat but really put it into full burner on Sunday. You could tell they were itching to show off for the hometown. A B-2 flew in on his first pass with gear down, and came back around again low and did a slight waggle of the wings. It was a much nicer pass than we had at Pease as you finally get to see the top of the aircraft instead of only seeing the bottom. After the B-2 departed they brought the Eagles and the F-117 in. Both were allowed to perform full demos on Sunday as the weather helped out more with higher ceilings. Ed Hamill was next in the show box in his Air Force Reserve Bi-plane. I haven�t seen C-17 demo in a long time and I was amazed how this aircraft almost handles like a fighter, the pilots turned a 360 almost as tight as some of the fighters performing their 360s. Crank took up his CF-18 with the specially painted tails celebrating Canada�s 25 years using the CF-18. Next the West Coast Viper team took up their F-16 to show how the �left coasters� fly for us �Yankees�. This was a great chance to see a team you normally don�t see on the east coast. Michael Mancuso and Matt Chapman went up and performed their 2-ship demo for the growing crowd. A different F4U Corsair from Pease took off and did some passes and then made room for �Catfish� of the East Coast Hornet team. The skies were perfect for some great vapor shots. They teamed up for the Legacy flight and made 3 passes for the crowd showing off the �then and now� of the Navy. Michael Goulian took to the skies and was followed by the Thunderbirds. On Saturday the Thunderbirds had to stop their show 3 times due to not having the 5-mile visibility the solo�s need. They tried 2 different times to start their �low� show but there just wasn�t enough visibility to fly safely and made the right move to cancel Saturday�s show. Luckily they were able to perform their full show on Sunday for the crowds.